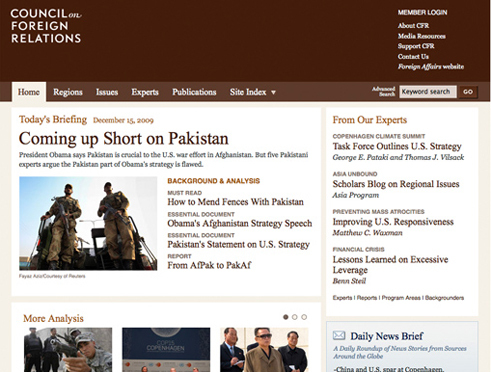 Tierra was delighted to help launch the Council on Foreign Relations homepage redesign this past week. The project included extensive user-experience research and testing, strategy consultation, video/audio player development, and visual design over the course of six months. Our work with the CFR.org team and executive management was a true collaboration. We’re excited to have the opportunity to partner with an institution with such an important impact on the foreign policy of the United States. Read more about the project and stay tuned for further site updates in the coming months.